M. Sage, the multi-instrumentalist from Colorado has been quite productive these last couple years, as evidenced by the growing catalog at his noteworthy imprint Patient Sounds (Intl). He has also released some impressive side projects and collaborations in the last couple years. My favorite being a psyched out guitar release with Daniel Bachman from last year called "Low in the High Desert". Add to that a ton of great side projects (Wellington Downs, M. Pyres...) and a lovely split with Hakobune. 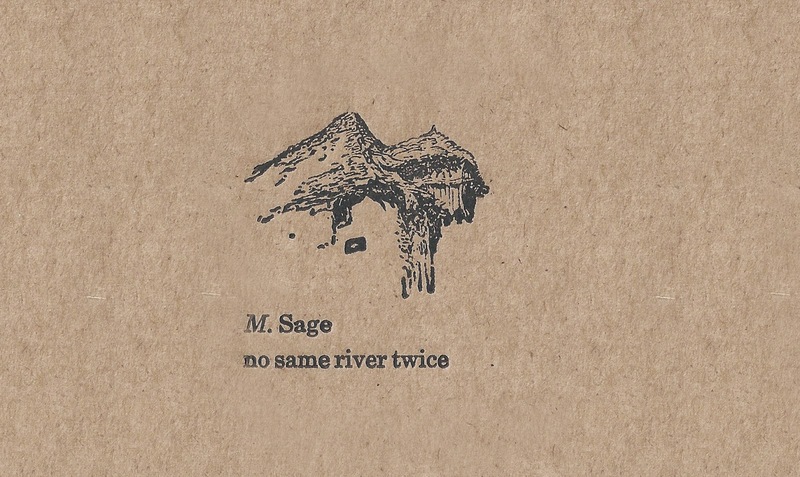 This ultra limited cassette "No Same River Twice" could be considered a follow up to his most recent album and debut 2xLP entitled "A Singular Continent". 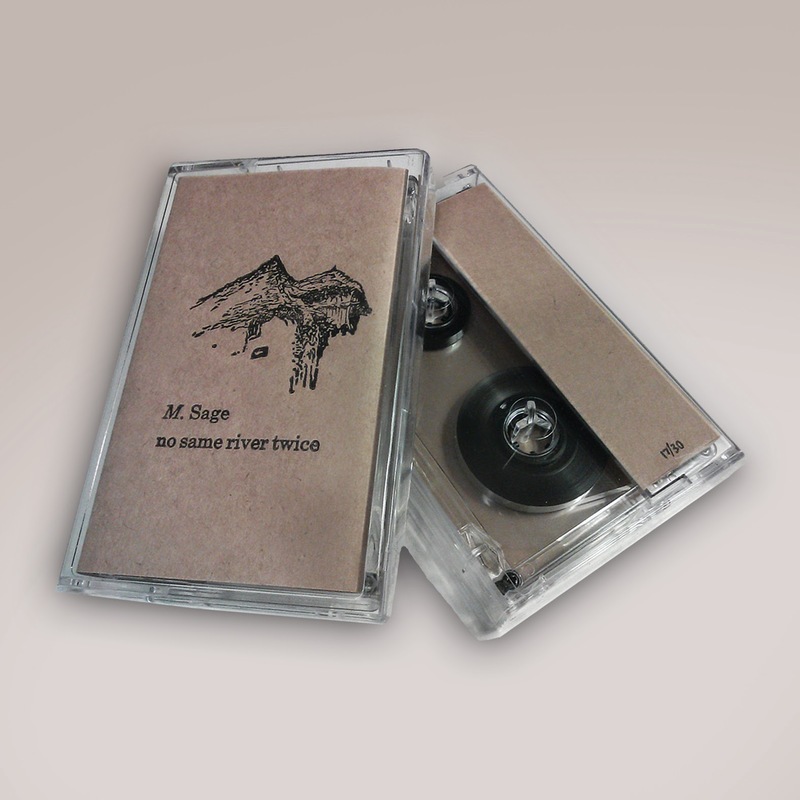 Much like that record, here M. Sage employs acoustic & electric guitar as a base where his initial intentions for his compositions are laid out. He then merges those subtle decisions with sounds and signals culled from the immaterial realms that result in a most beautiful and unpredictable blend of tension between motive and chance. "Everything changes and nothing remains still ... and ... you cannot step twice into the same stream."